Sacramento, Calif. • Dialysis companies have contributed an extraordinary $111 million and counting to defeat a California ballot initiative that would cap their profits, the most any one side has spent on a U.S. ballot issue since at least 2002. A $5 million donation from this week from dialysis provider Fresenius Medical Care pushed the anti-Proposition 8 campaign’s total past the $109 million that pharmaceutical companies spent two years ago to defeat a measure limiting prescription drug costs. More than $70 million has been spent on television and radio ads as well as consulting services in the past two months. 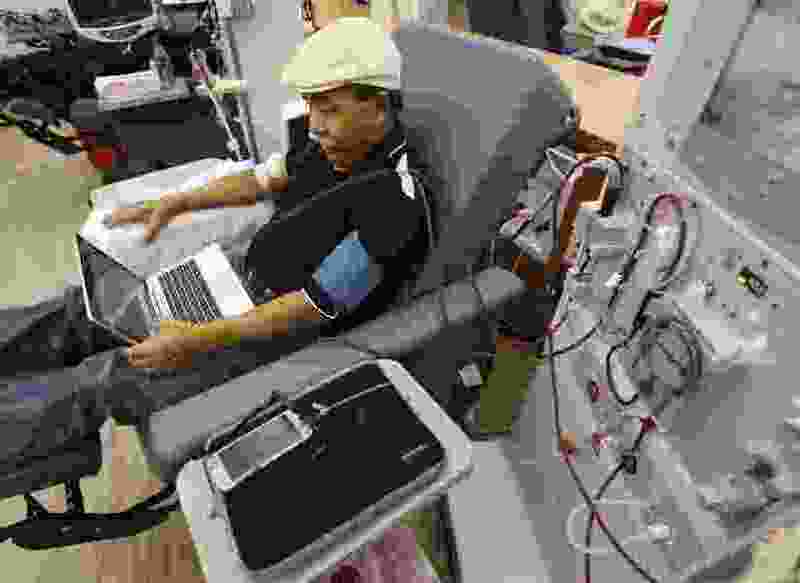 Dialysis companies make roughly $3 billion in annual profits from their California operations, according to the nonpartisan Legislative Analyst’s Office. An Associated Press analysis found the campaign to defeat Proposition 8 is the most expensive effort on one side of a ballot measure anywhere in the country since the 2002 election, the earliest cycle for which data are available online. The AP reviewed California campaign finance records filed with the secretary of state and data compiled by the nonprofits MapLight and National Institute on Money in Politics, the leading authorities on ballot measure spending. Data from the National Institute on Money in Politics show the most costly ballot measures in the country are in California, the nation’s most populous state, where reaching voters through political ads is very expensive. The state keeps paper records predating the 2002 election cycle in its archives. The secretary of state’s office doesn’t have reports on which campaigns were most expensive before that cycle, spokesman Sam Mahood said. Because of inflation, it’s unlikely any surpassed $111 million. Dialysis machines filter patients’ blood for toxins, essentially performing kidney functions outside the body. Patients typically undergo hourslong treatments three times a week.